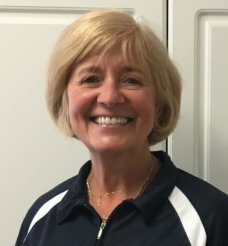 Janice is a University of Connecticut graduate with a Bachelor’s Degree in Physical Therapy. She worked in a variety of settings including pediatrics and geriatrics before deciding to remain in outpatient orthopedics and sports rehabilitation. A combination of love for the geriatric population, many years of experience in her field, and updated continuing education courses has made her successful in rehabilitating total joints. Janice finds pleasure in helping people to enjoy their lives to the fullest.